I used to be a great fan of facebook and loved being able to keep up with friends and family, to see what they were up to, where they had been and generally keeping in touch. It has also been a terrific way of keeping up with my daughter and what she is up to on any day….. In the first heady days of registering I set about connecting with as many people as possible and managed to hook up with a lot of friends I had lost touch with over the years…it was also great to be able to keep in touch with family especially as I was now living so far away. In time and when MLM was big I had loads of people connect with me in order to sell me their products! Needless to say I got ensnared in a company called Success University which really wasn’t at all what it appeared to be…..but that’s for another story. Over the years facebook has changed and they have become far too smart for their own good and the word algorithm should be banned from their dictionaries….in fact I think their computer smart-asses should be banned from ever changing anything ever again (yes, I am being grumpy). It’s lost it’s charm. People can now abuse you on facebook and mostly get away with it. Sure you can block them and I have blocked and reported a number of people, may of whom were fake id’s anyway, so no loss there. 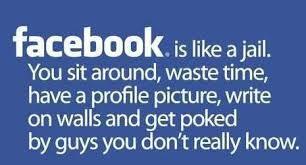 But with facebook deciding whose updates I can or can’t see and with them changing things so much I just got fed up! I’ve been off the platform before and didn’t miss it but after a few days curiosity got the better of me and I logged back on…but this time I’ve had it…I have disconnected my profile and plan to keep it that way. Alongside of this and after my decision to close down my business, I have been on a self-imposed detox from social media and my computer….so it’s been quite a challenge to actually log on and write this blog….. I just haven’t had the heart to open up my computer; a constant reminder of what I was so focussed on for the last 4 years…..it all seems such a waste now, but I do keep reminding myself that what I have learned can’t be unlearned and all the wonderful things I have done over the last 4 years are forever in my memories and my photos 😉 ….lest we forget those!! It’s been interesting….I haven’t missed facebook AT ALL and have probably, although not saved any time, I have certainly been less irritated and had more time to actually grab a book and read instead of scrolling endlessly through hundreds of updates. I haven’t been on twitter much either, and except for the odd peek now and then, I have pretty much left the world to just get on with itself while I have relaxed, slept and taken myself out and about….taking photos of course. New places, new views. The only platform I have continued to use, and that’s because it really is my favourite platform is instagram. I love to see photos of far-flung places and most definitely love to see photos of London via my favourite London igers. I have sadly lost all my hashtags…this happens everytime I update the bloody app and it’s terribly annoying…some of them are not often used but when I want them they are generally there…..However, I am now in the process of compiling new and different hashtags relevant to my new adventures. I have also recently rediscovered snapseed (thanks to my daughter) and have had much fun converting my photos to HDR via the app. It certainly makes a huge difference to the quality of the photos and as an accompaniment to that I have started shooting in HDR too….I have to say I am most impressed and sorry that I din’t venture into that arena earlier…..but never too late to start. In the meantime, my self-imposed detox from social media means that not only have I not posted much by way of anything on twitter I have also not posted any blogs…..so this is my first for a while. It feels quite strange not having all that ‘work’ to do for the business of 3 Days in London any more.